Will be speaking on the topic – Sensex v/s Dow Jones and discussing the long term prospects of Indian equities in Mumbai this weekend. People interested in listening to a lot of technical gyaan can join in. ATMA invites you to participate in 26th Mumbai meeting to be held on, Saturday, 22th December’12 at St. Xavier’s College. The speaker for this meeting will be Mr. Nooresh Merani who will discuss on the topic "Sensex v/s Dow Jones". Speaker: Mr. Nooresh Merani is a passionate IT Engineer and ace Technical Analyst as well being proficient in picking winners from the mid-cap and small-cap segments. An active member of prestigious forums and groups dedicated to equities. Mr. Nooresh has a track record of identifying major turnaround levels for stocks, indices and commodities. He also started his own blog - www.nooreshtech.co.in on the Equity and Commodity markets in 2005. 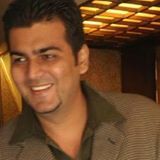 Mr. Nooresh Merani is a Founder Director of Analyse India -www.analyseindia.com.The firm has trained more than 800 individuals across India with training sessions being conducted in major metros and other cities like Ahmedabad, Pune, Indore, Surat. He is regularly invited on the CNBC TV18, Et Now and other business channel to share his views with a larger investor community. Topic: "Sensex v/s Dow Jones"
Cyclical Nature of Markets - 13 year cycle on Sensex and 17 on Dow Jones. Venue : St. Xavier's College, 5, Mahapalika Marg, Dhobi Talao, Mumbai - 400 001. • Registrations will open at 1:45pm and close at 2:00pm sharp to ensure the programme starts on time. • Only when someone has genuine difficulty in online payments may write toevents@atma-india.net requesting ATMA Bank details and deposit the fees at ATMABank account, scan the pay in slip and email the same back with the subject line stating 26th ATMA Mumbai Meeting Fees: First Name Last Name. • Since seats will be allocated ONLY on a first come first served basis on registering, please do drop back a line to us on events@atma-india.net in case you choose later to not attend the venue so as we can at least give the seat to a wait listed person. You are presenting in ATMA very interesting topic of my interest of cycles. I would have loved discussing with you your 13/17 years BSE/DJIA cycles but unfortunately I am travelling today so won’t be able to attend. Lets see if we can discuss this sometime in near future. My idea is/was roughly Sensex follows 8 years and DJIA follows 7.5 years (peak to peak) cycles and commodities 33 years (22 years straight down and 11 years straight up) so would have been interesting to get your view :-). Your seminar was really insightful. In fact the second part was far more interesting and such simple tools like Price & Volume on mid cap stocks work beautifully. Your seminar was an eye opener in terms of the content which was well research. The small cap understanding was also clear by you. A BIG THANK YOU for sharing. Sir I am founder of group call Indian Turtles where we ( Traders / Investors / Students ) meet once in a month and share ideas /technical and market. Would be ok if I share some of your views in my next meet which is on the 29th Dec. Kindly do confirm as Sensex understanding and finding are your and your permission is must. A big thanks any way for share your finding at ATMA meet. If the meet is in Mumbai would love to attend it.